When families come to stay at Bear Cottage, much thought is given to the ways in which special memories of their children may be created and preserved for them in enduring ways. This year, a new form of memory making is now being offered at Bear Cottage. In ancient times, it was believed that the heart was the seat of our emotions and even though we now have a different understanding about emotional expression, the word heart remains an enduring one when we wish to convey intense and powerful emotions. This is the reason we continue to use expressions such as heartfelt, heartbroken and heartland to name a few. A beating heart is necessary for sustained life, so it is very much part of the essence of our being. For some, merely the sound of our unborn baby's heart in itself seems like music. When the singer Beyonce heard the first ultrasound of her unborn baby, she declared, "I heard the heartbeat which was the most beautiful music I ever heard in my life..."
Music is so evocative and it can instantly transport us to other times, helping us to relive them. With Heartmusic, we go one step further by combining a child's heartbeat with a special song or tune. Think of a song which you listened to when you first fell in love or perhaps the song that was played at your wedding. Remember the lullabies you may have sung when you first became a parent. Music is so evocative and it can instantly transport us to other times, helping us to relive them. The concept of Heartmusic was developed by Brian Schreck, an American music therapist, who first came up with the idea of recording a child's heartbeat and using the pulse as the basis of a completely unique recording. He began by taking recordings of children's heartbeats and using these as the basis for beautiful, bespoke music. Now, this same form of memory making is being offered here at Bear Cottage. With the aid of a special digital stethoscope which was donated by the Ottomin Foundation who fund the Music Therapy Program at Bear Cottage, it is possible to make a recording of the heartbeats of our young patients. These can be saved onto a computer and then, by using a multi-track recording program called Audacity, the heartbeat is used to provide an underlying beat. Musicians sometimes talk of the pulse of music when they refer to its beat, and quite literally, the child's pulse gives the underlying beat to a special piece of music, one which has been specially chosen by the family. We recently had a patient named Alex staying with us. Having turned 19 during his last visit, Alex was �graduating' from Bear Cottage. Alex loves the movies from The Fast And Furious series. In particular, he loves a song from Furious 7 called "See You Again" and so this was the one he chose to be recorded with his heartbeat. It was wonderful to feel the excitement in the Cottage at the beginning of this new venture as we began making this piece of Heartmusic, which would be used for Alex's graduation gift. 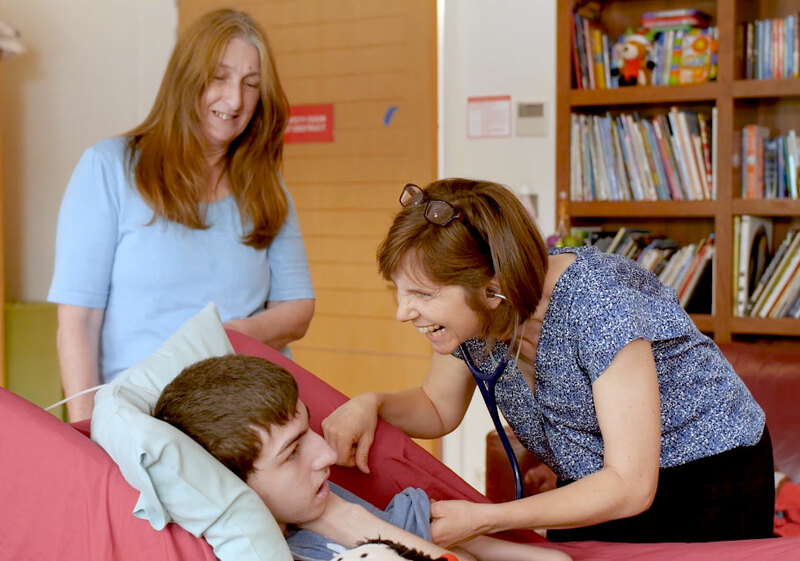 With the help of Shootsta, a video production company, we were able to produce a short video which documented the process of Alex's heartbeat being recorded and it was lovely to see Alex's smile when Nurse Philly helped him to hear the recording of his own heart on the digital stethoscope. The tune he chose is also featured on the video as a backing track. Please visit our Facebook page to see the finished video and to hear the completed track. If you would like to have a piece of music created by using the heartbeat of your child, do please talk to Belle, our Music Therapist. She will obtain the musical score for you and make a multi-track recording of your special song or melody to accompany the heartbeat of your child. This recording will be given to you as a permanent keepsake which can then be stored on your phone, computer or iPad for safekeeping. It will mean that you will be able to listen at any time to a truly unique piece of music which has come from within the heart of your own child.